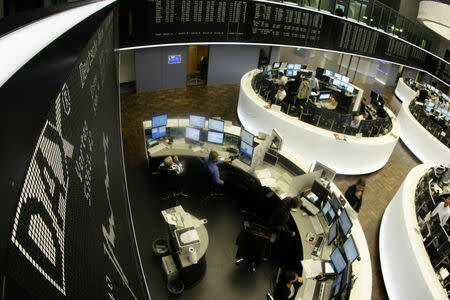 The pan-European STOXX 600 index was up 0.1 percent by midday in London, also hitting a five-month high. "The market will be scrutinising the extent to which the Fed scales back its interest rate forecasts," said Rupert Thompson, head of research at UK asset manager Kingswood. E-mini futures for the S&P 500 were higher by 0.1 percent, indicating a positive open on Wall Street later in the day.